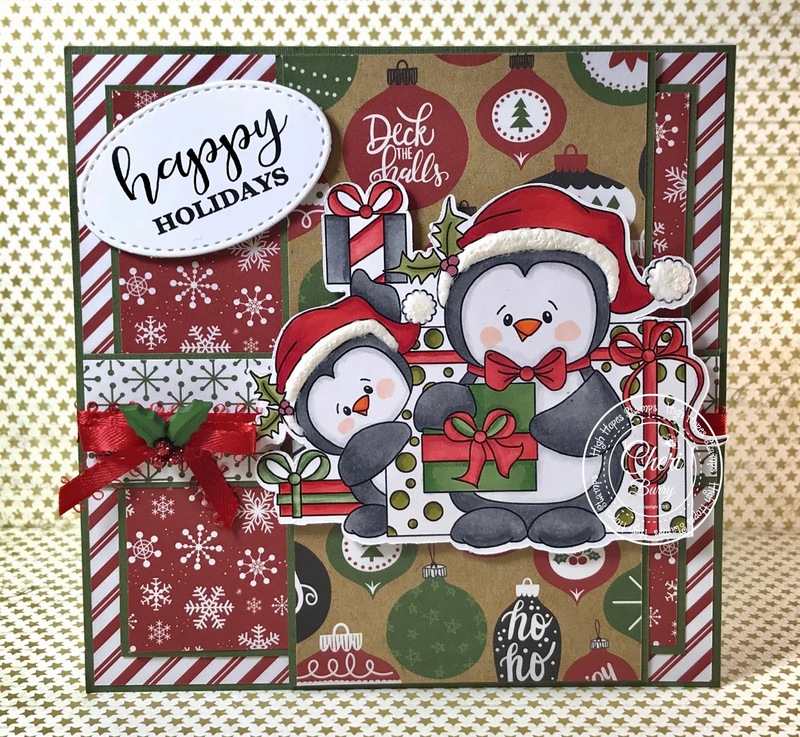 It's time for me to show you another one of the new release images from High Hopes Rubber Stamps, and this time around I have not done any coloring!! This beauty was created by stamping the Wreath (TT167) image on to Copic Xpress It cardstock with VersaMark embossing ink, and then covering the image with clear embossing powder. After heat setting the image I then used Mermaid Lagoon, Peacock Feathers, and Blueprint Sketch distress inks to create the background color. 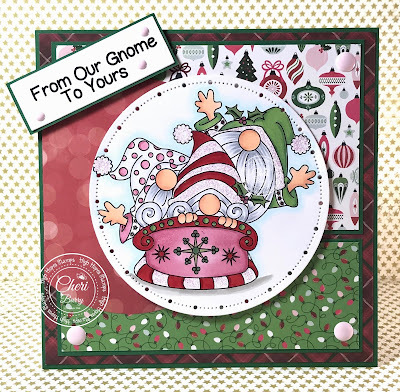 The Merry Christmas sentiment is also from the newest Woodsy Christmas release and can be purchased here. Some randomly place dots of white created with a Sakura white gel pen, and a touch of Star Dust Stickles finish off the card front. 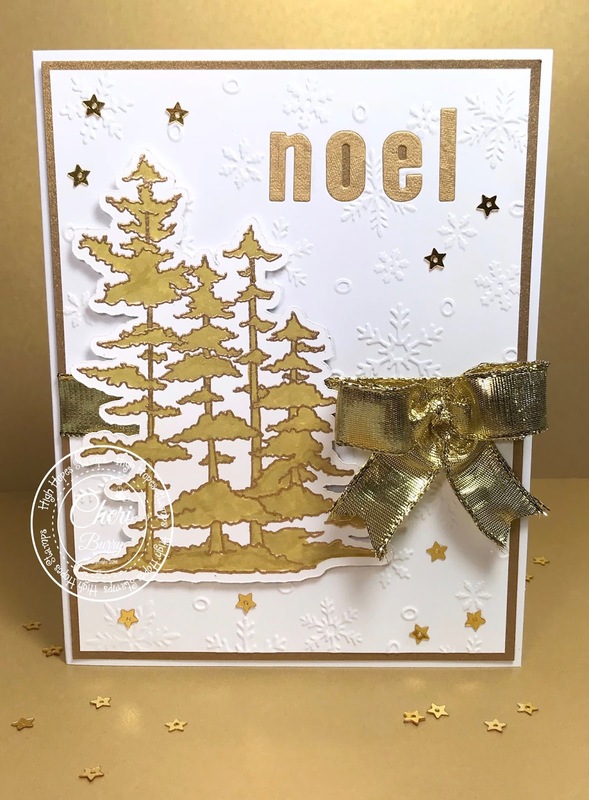 Today I am sharing with you a gold themed card! There is just something about the colour gold that makes everything seem more elegant! I was trying to think of a way to share this High Hopes image called "Forest" that would be different than my normal Copic colouring. Then.........boom it hit me.....GOLD! 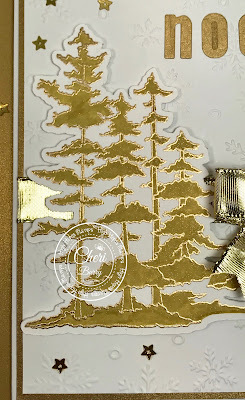 I stamped my image with clear embossing ink and then added Gold Embossing Powder. 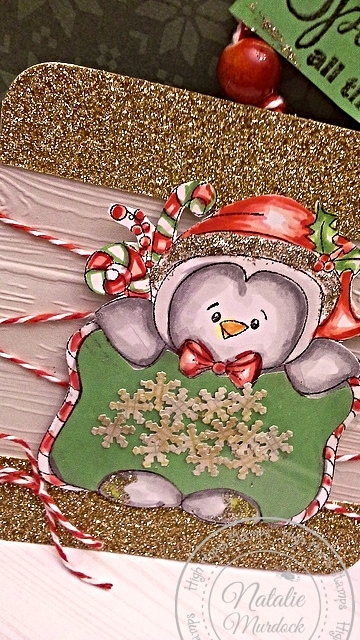 After I melted the powder with my heat gun, I coloured the image in with a Wink of Stella Glitter Pen in Gold. 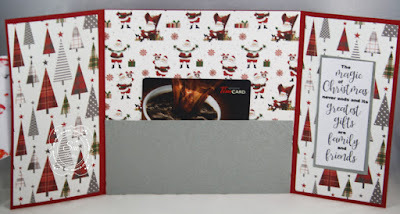 I fussy cut the image and popped it up on my white Snowflake embossed background with some foam squares. I cut the letters "noel" directly into my card base and then inset the gold letters for a clean look. 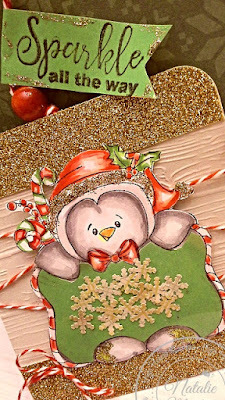 More gold with some ribbon, a bow and star sequins finish everything off! 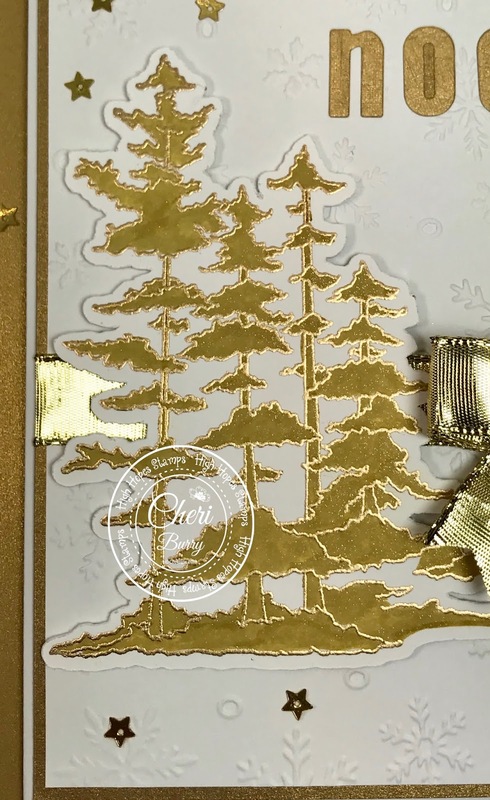 Of course more gold on the inside with the sentiment "Sparkle All the Way" sentiment from the New "Woodsy Christmas" collection. 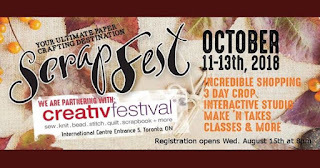 Follow the One Crazy Stamper blog as the DT Divas will be bringing Daily Inspiration throughout the month. Just a little creation today. I love this Snowman!!!!!! Magic of Christmas found here! Such a darn sweet snowman! I love the heart and birdy too. I coloured the image up with Copic Markers. 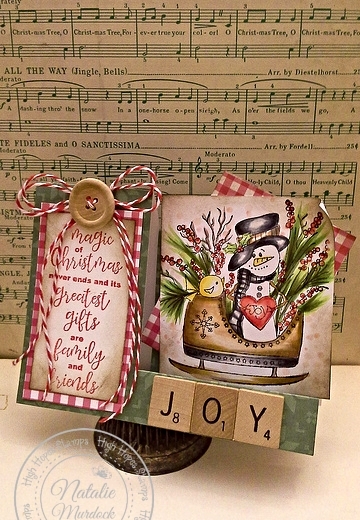 The sentiment was stamped in Tim Holtz festive berries. I added some scrabble letters and a wooden button too. I hope you are enjoying the new Woodsy Christmas release from High Hopes Stamps. 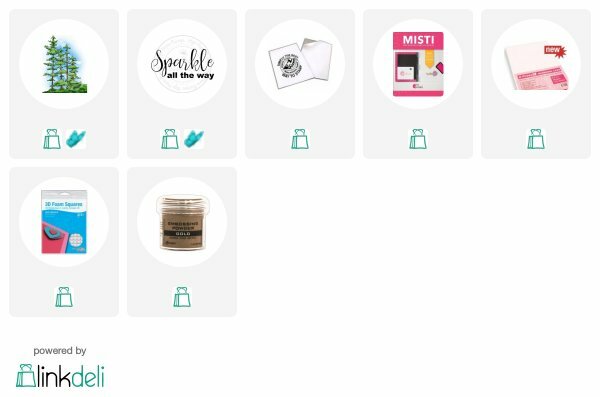 They are really cute and fun stamps. 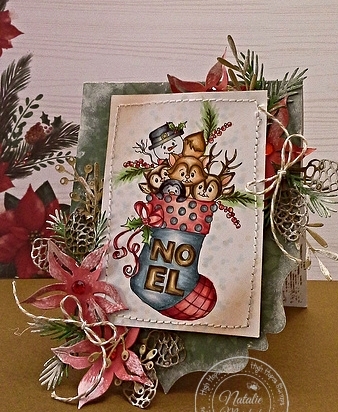 For today's card, I am using the adorable Woodland Stocking. After stamping the image, I coloured it with Copic Markers. 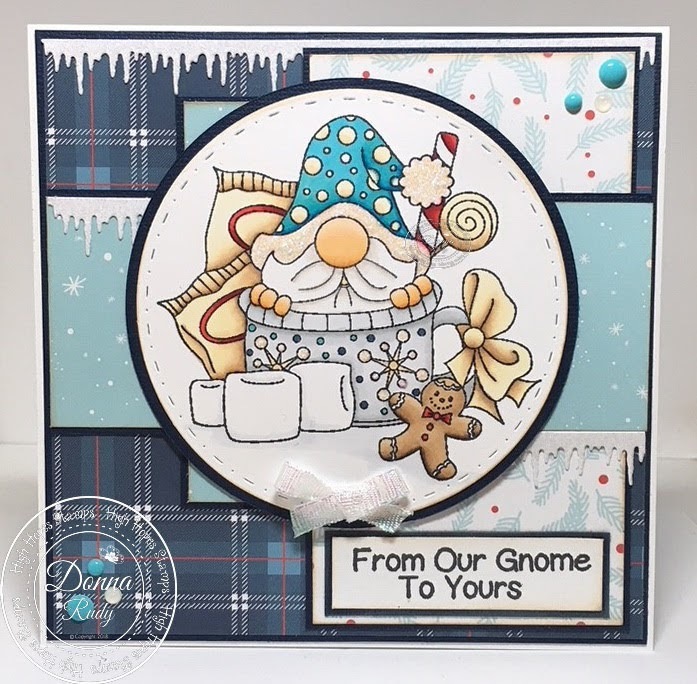 I have someone in my life who loves gnomes and hot chocolate.......so when I saw the newly released "Cocoa Gnome" from the Woodsy Christmas release I knew it would be perfect for their Christmas card. After stamping and colouring my stamp with alcohol markers and Prisma pencils, I cut it out using a stitching and pierce mark circle die. I added some stickles to his hat edge and pom pom. 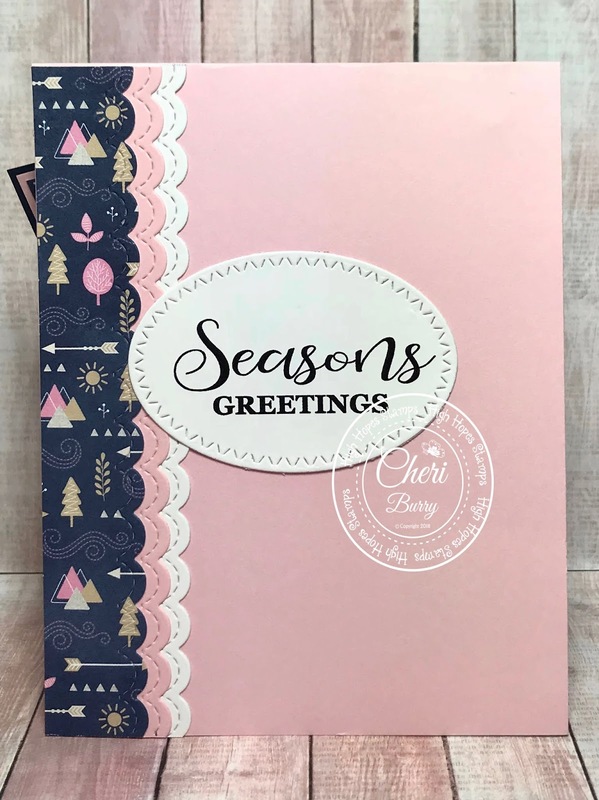 Patterned paper from Echo Park was perfect for my card design. All of the patterned paper edges were inked to match my colour scheme. 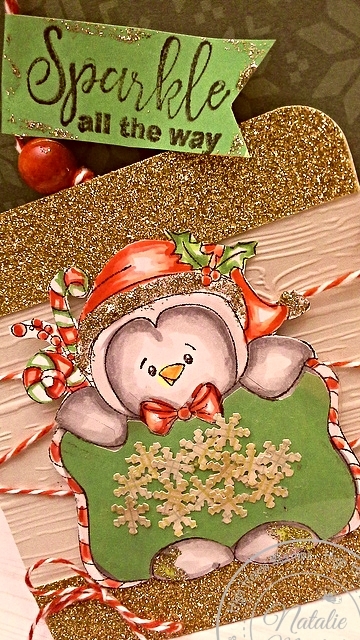 Some sparkly icicles, gumdrops and sparkly ribbon finish off my card. Be sure to stop by the High Hopes Rubber Stamps Facebook page and blog for daily inspiration from the oh so creative design team! Wednesday has come again, so it's time for me to share my latest creation here at One Crazy Stamper. 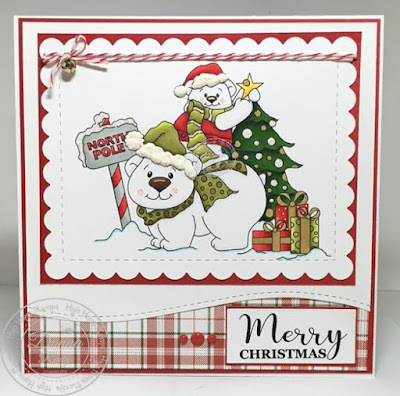 The new release Woodsy Christmas has arrived at the store, and is available for purchase, but alas Canada Post is slow in getting my stamps to me so....... in the meantime I have an older image to share with you all. 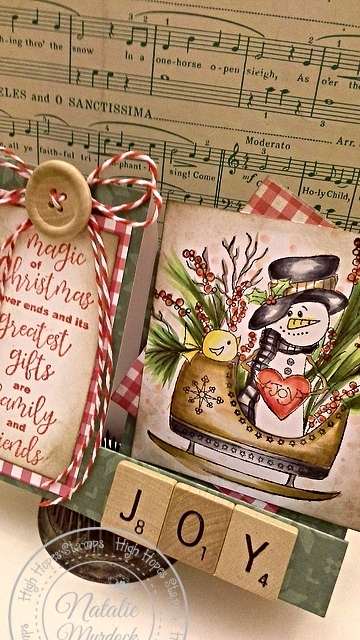 This image is Three Pane Christmas from High Hopes Rubber stamps that I have stamped on to Copic Xpress It cardstock with Memento ink, and then colored with my Copic sketch markers. 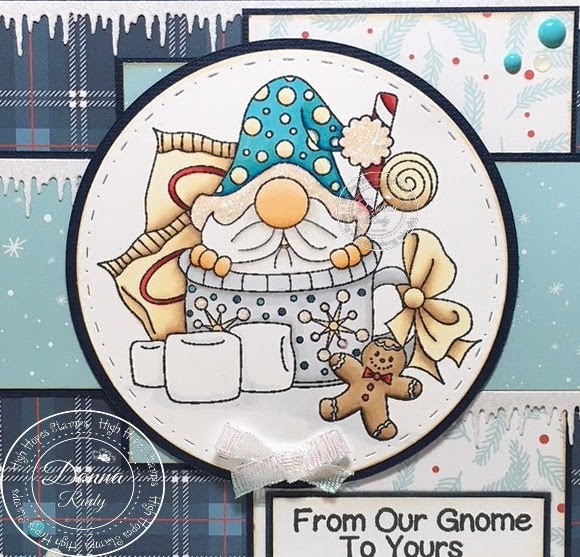 Once I fussy cut the image out, it was placed on a card front that features an older Cuttlebug embossing folder, some Carta Bella paper, and a My Favorite Things sentiment. 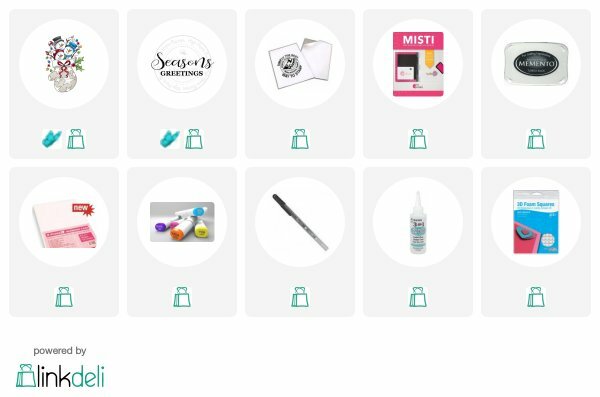 Be sure to check out the rest of the design teams wonderful projects featuring the new release!! For today's card I am using the "Snowman Stocking" stamp from the new "Woodsy Christmas" Release over at High Hopes! 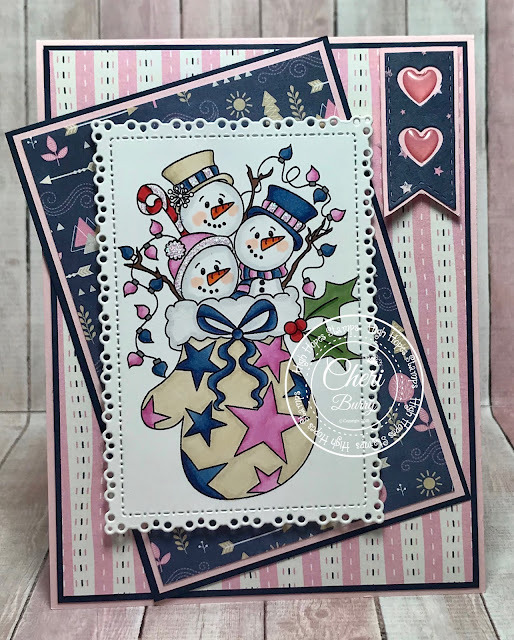 I love making Christmas cards in non-traditional colours such as this pink and blue colour combo! For my card design this week I am using paper from the Bo Bunny Little Wonders 6x6 collection. I stamped and coloured this adorable image with my Copic Sketch markers to match my Designer papers. I love tilting a layer as it adds some interest to the card. 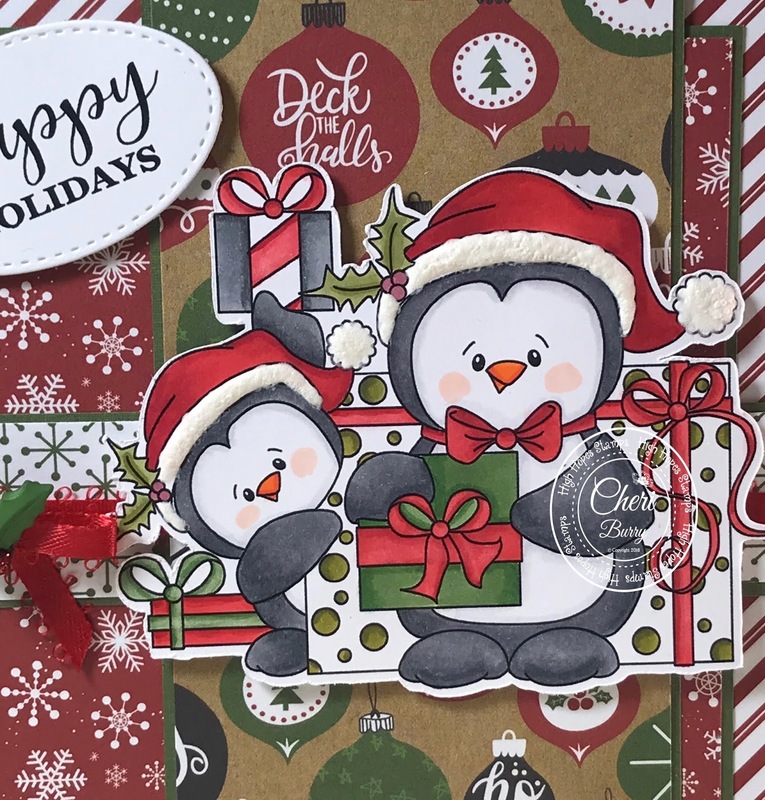 Each Snowman's hat and the candy cane have some Crystal Stickles added to them. 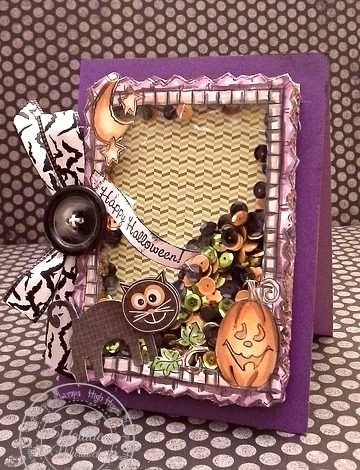 More Designer papers and a scalloped border edge add a fun element to the inside. I used the HH "Season's Greetings" sentiment on the inside. Hi there High Hopes friends. Hope you are enjoying this Saturday. 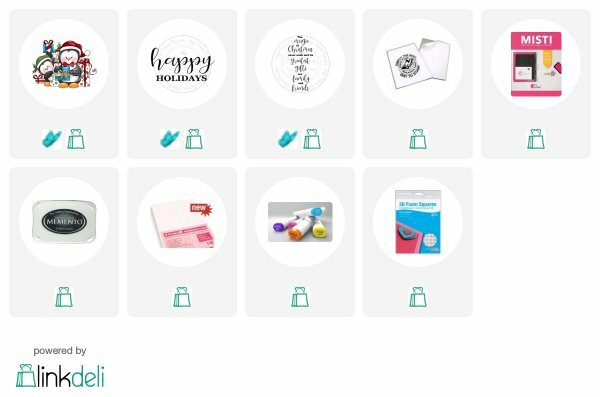 I'm back to share a little tags made with the super sweet new release stamp! 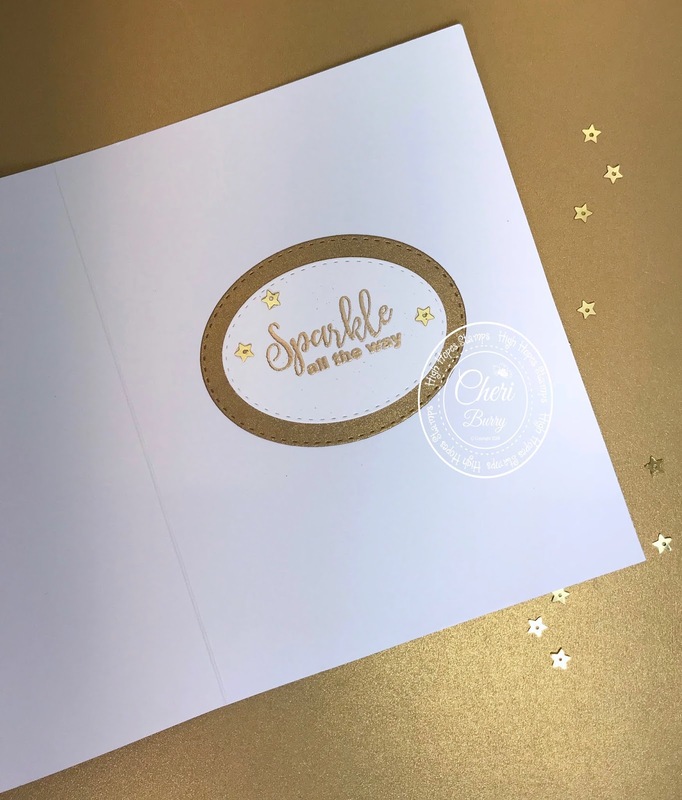 Sparkle all the way found here! The image is coloured with Copic markers, some glittery paper, punched snowflakes, embossed wood grain background were all added to the tag. I can't forget the yummy candy cane twine and Christmas love added just for fun!! Welcome back One Crazy Stamper. I hope you are having a coffee and enjoying this latest and adorable release called Woodys Christmas from High Hopes Stamps. 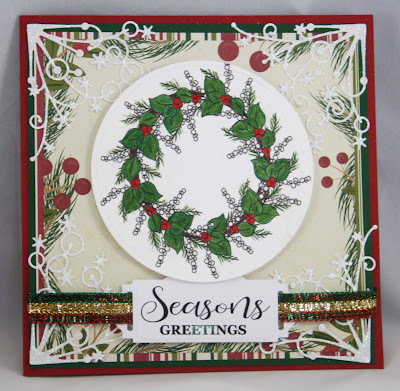 Today's card is featuring the Wreath stamp. I used Prismacolor Pencils to colur it. A Snowflake Corner was also used. Don't forget to find some time to stop by the OCS website to see the full "Woodsy Christmas" release. 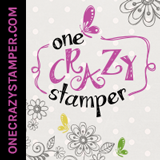 Hello One Crazy Stamper Fans! I hope you are enjoying the new "Woodsy Christmas" release as much as I am! 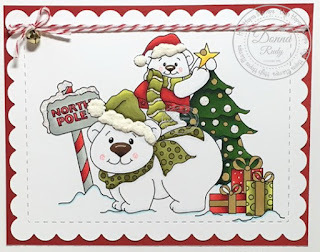 Today I am honoured to introduce you to "Snowbear Friends". When I was a child we loved to help set up and decorate the Christmas tree! We were allowed to help with the decorations but the star on top was the special job of one of my parents - usually my Mom. Even when we were tall enough to do it, my Mom was the one who put the "finishing touch" on the tree. I love the memories that this stamp brings back! 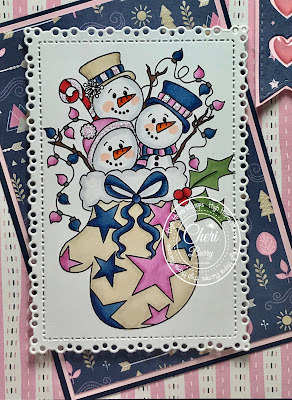 After stamping and colouring my stamp with alcohol markers and Prisma pencils, I cut it out using a stitched scallop rectangle die. Some gold Wink of Stella and Star Dust Stickles were added to the ornaments on the tree. Liquid Applique gives some fun texture to their hats. I set it aside and cut a piece of white card stock to fit my card size and cut a stitched edge using a border die. Next I added some matching plaid paper and glued everything down. I stamped my sentiment and added it to matching card stock. Some twine, a gold bell that jingles - fun right? and a few gumdrops finish off my card. 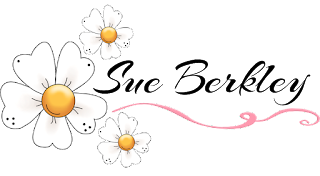 Be sure to stop by the website to see the full release! Gnomes, stockings and bears oh my!!! Welcome back to my usual Wednesday post here at One Crazy Stamper, and today I am showcasing another of the newest images available from High Hopes Rubber Stamps. 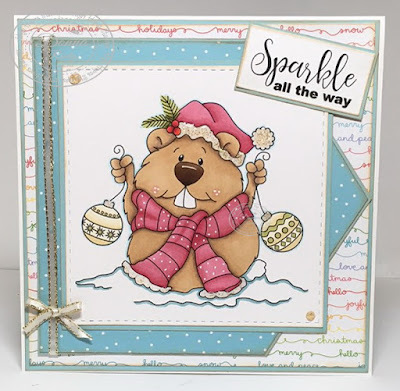 This cutie is Skiing Raccoon, and the sentiment Hello Winter is also from the new release. I colored the image with Copic sketch markers and Prismacolor pencils, and then fussy cut it out placing it on the background dp from Carta Bella. I also added Stampendous Fun Flock in white to the trim on the hat and sweater. 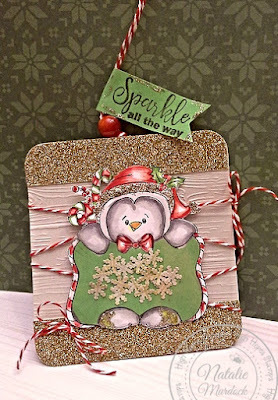 Some added sparkle was added with the sequin snowflakes. 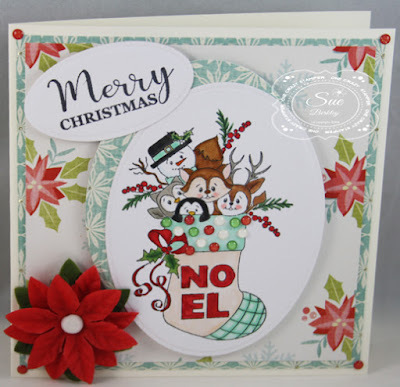 I'm back today to share with you another super cute stamp from the New "Woodsy Christmas" Collection from High Hopes! Yesterday was "Gnomes" and today is all about Penguins LOL. 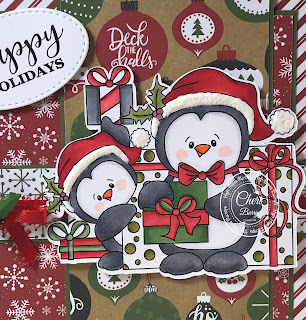 This is the "Christmas Penguins" stamp. I love the little guy peeking around the big present, he's just too cute! Today's paper layers are from the Echo Park " Celebrate Christmas" 6x6 collection! 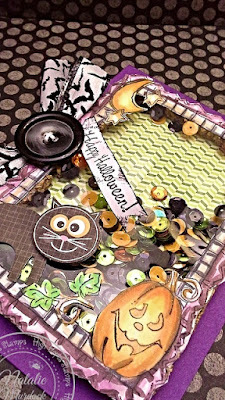 I love adding lots of layers of different papers and embellishments to my cards! The trim on the Santa hats is Liquid Applique, which you apply, let dry, then heat with your heat gun as you watch it pop up! 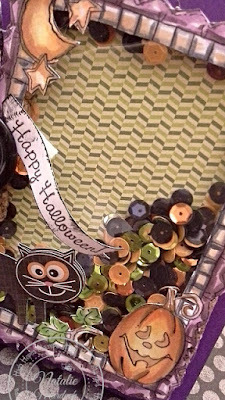 You can't tell from the photos but I also added Spectrum Noir Clear Glitter pen to all the bow and ribbons. The sentiment is called "Happy Holidays". I used the HH sentiment called "Magic of Christmas" on the inside along with some more of the EP paper. Don't forget to head on over to High Hopes or One Crazy Stamper to check out the New "Woodsy Christmas" Release. It's RELEASE day over at High Hopes!! Happy Monday OCS and High Hopes Fans fans!! Guess what today is? 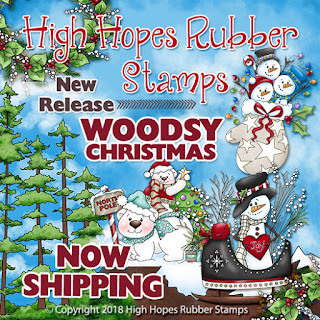 It's Release Day for High Hopes Stamps Newest Release called "Woodsy Christmas". We are super excited to share these new images with you today. There are some really cute images. We hope you love them as much as we do! High Hopes Happy Halloween found here! Zig Zag Frame found here! and inked up for some Halloween goodness. Hope everyone had a good Thanksgiving. 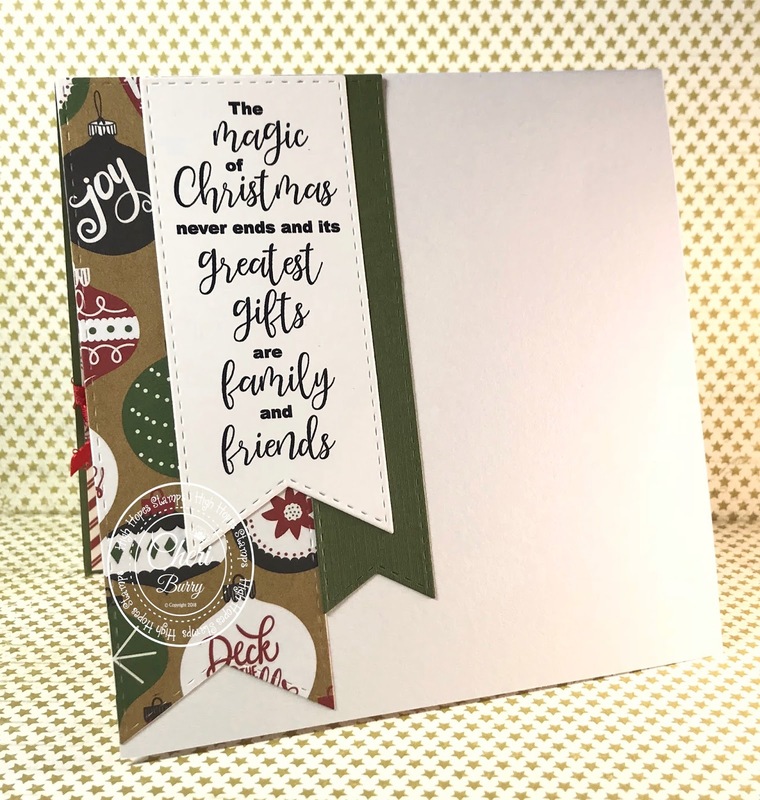 Now that it is over, it is definitely time to start marking all the Christmas cards that will be needed for this festive time. 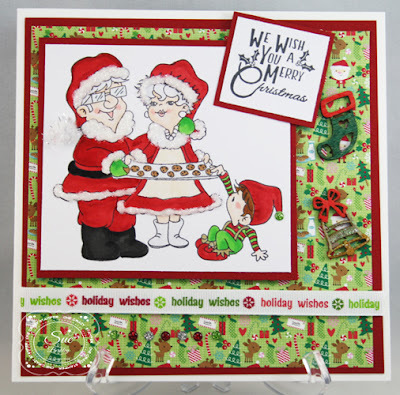 For today's card, I have used the lovable Mr. & Mrs. Claus, (a favourite of mine from High Hopes Rubber Stamps). They are such a fun couple. After stamping the image, I coloured it with copic markers. 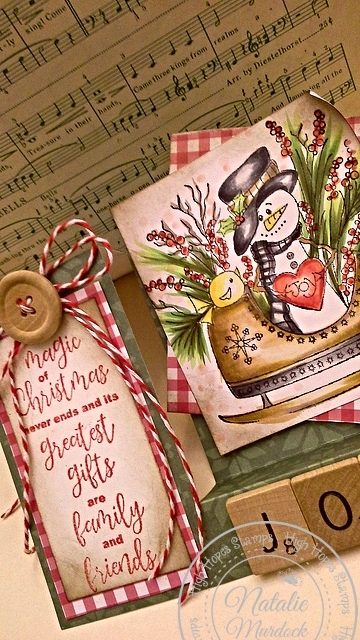 The stocking and bell are from a collection of wooden Christmas flourishes and they were coloured with the Zig Wink of Stella pens. 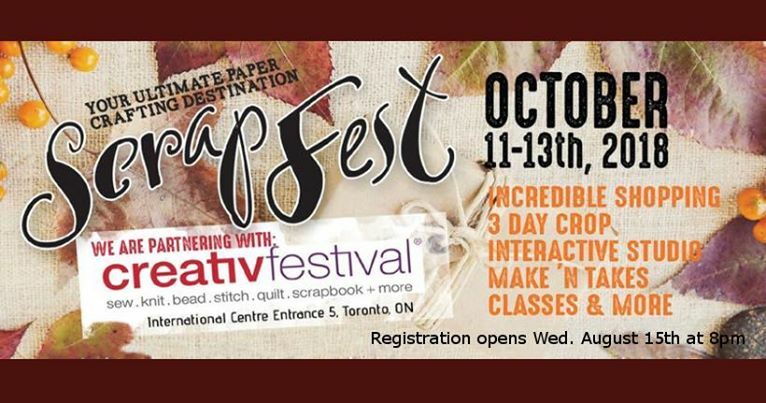 If you are attending ScrapFest and the CreativFestival do drop by the One Crazy Stamper and High Hopes Rubber Stamps booth. We would love to see you. Just for fun -- Happy Halloween!